Thank god January is behind us! I love it when we finally make it through the 'burgh' - it makes me feel like I achieved something. But there's on time to rest on my laurels, I have set myself a challenge to get fit throughout February, to get healthier, be able to run that little bit longer and shed a few pounds. Not saying I will be able to have finished achieving my goals all in a month, but I need to see some positive results which are putting me in the right direction come the 28th and then carry this forward! They say summer bodies are made in the winter and I figured if I'm able to get into a good routine now, that will put me in good stead for the months to come. No more excuses! So, to kick off 'Fit Feb', this week I started phase one of The South Beach Diet. For those of you who don't know, it is a diet plan designed by Dr. Agatston which is a three stage programme designed to train your body from wanting certain foods and teach you all the things you need to know get healthy. The first phase is the most drastic and should only be done if you want to lose more than 10lb and/or need to kick sugar cravings, (I answer yes to both) then the second phase introduces complex carbs - the third phase…..in short there isn't one its just about making the right choices from there on in. Is it a bit dramatic? Some may think so, but for me I really want to shake myself and my body up, set myself a challenge that I can succeed at and see positive results which will encourage me to keep going. 2014 is all about the JFDI attitude - (Just F**king Do It for those not familiar with the acronym ). So, I did. So far I am one week down and although I felt exhausted come Friday night, I feel really good for it over all. The great thing is that I'm also seeing results. Not anything major but a few pounds lost and an extra half km run on the treadmill which when you do have fat to lose and further to run is inspiring and motivates you to keep going!! Its all relative too, a couple of pounds is actually a big deal when you think about that being fat leaving your body. 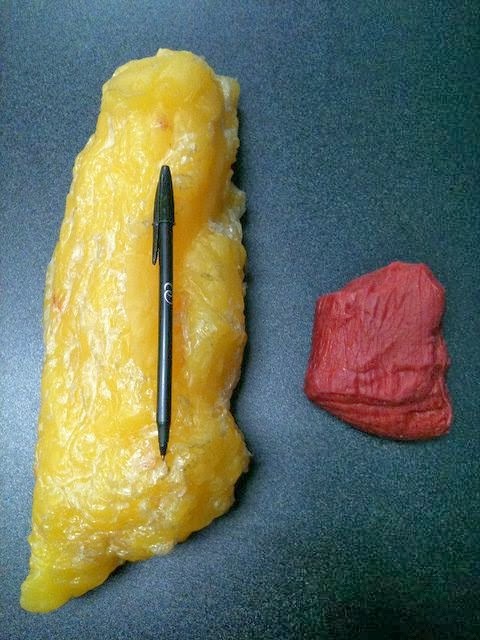 The Pin below really sticks with me on stuff like this, that's 5 lb of fat next to 5 lb of muscle - really makes you think about what you're putting into your body and makes you appreciate each pound lost! I've also upped my workouts from three-four times a week. Although doing this with no carbs inside you is tough, so my fourth workout is more a toning session, complete with stretching, a bit of 'at home' yoga and some core work. I think after next week once I am then on to phase two, I will be able to go for runs again at the weekend, I am just finding it a bit of a struggle this weekend. I've also taken some before pics, in true 'look how much weight I lost' style, but true to form, won't be sharing these until I have positive after results to share too. The fact that I will have to share these pics with the world also makes me more determined to succeed - so thanks for the motivation! You're all personal trainers and you don't even know it. 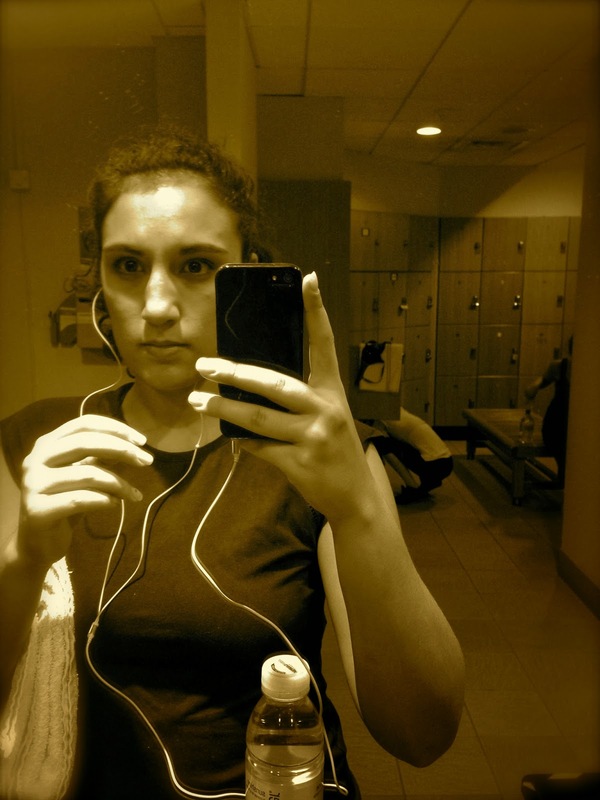 Aside from the weight though, getting fit is really important to me because I used to be, but then somehow, along the way my priorities changed and there didn't seem to be enough room to do it all. That coupled with the fact that there is a lazy side to everyone which means its even easier to go easy on yourself and when you do - it takes a long time to get back to where you left off! Well not anymore! I am pretty obsessed with Pinterest and have a series of motivational boards which give me inspiration for what I want to look like, achieve etc and i will not fail! I'm so determined and when in doubt I always look at the pic below - it sums up everything I am trying to achieve at the moment (mind over matter not the ballet points), training my mind and body into what is best for it - it's a tough slog but that's what Fit Feb is all about! I'll thank myself in the summer. It's important not to see it as a massive journey with no reprieve along the way though, this is only a short month and to keep myself motivated I've also set myself a reward for reaching certain goals along the way. Any excuse to treat myself…but this time I'll be doing it because I deserve it and it will be an extra incentive to keep going. Want to see what I'm swooning over? 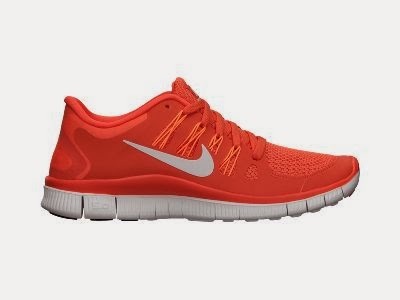 The Nike Free 5.0 trainers. I have been lusting over these for a while now. I love the burnt orange and although they won't go with any of my work out gear, I don't care - I heart them and need them as my gymspiration. I'll let you know how I've got on at the end of the month, but in the meantime, its mind over matter. Time to lace up and face the world!